During the construction period of Dance Base, artists Doug Cocker and Uta Kogelsberger were invited to respond to the building - its architecture, function and setting - by creating artworks specifically for the new building. 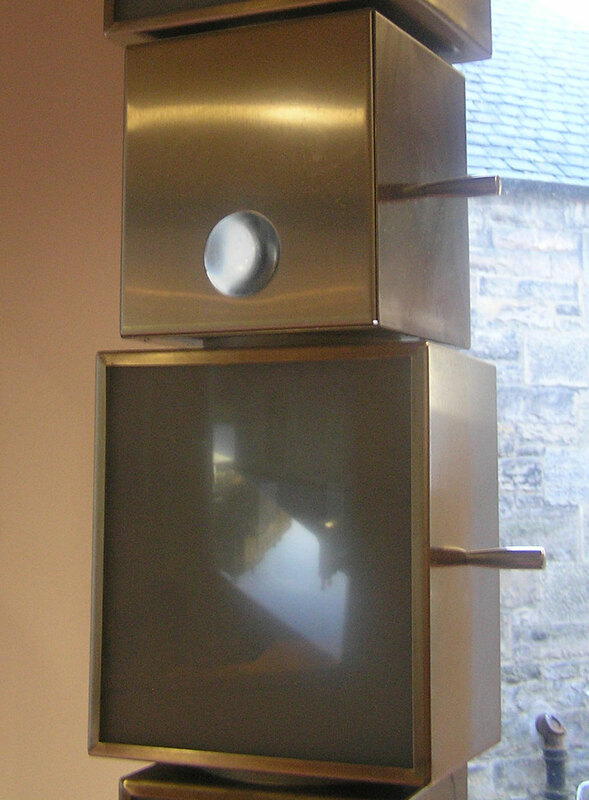 In the entrance foyer stands 'Camera Obscura', a column of steel and glass boxes totalling 2.5 metres in height, with each box housing its own Camera Obscura. Through the work the image of Edinburgh Castle is brought into the space. The boxes can be swivelled to capture the magnificent view of the castle perched upon the rock or the building's interior. The magical quality and simplicity of the camera obscura compares to watching a real time film. 'Timeline' runs the full height of the stairwell leading to studios 3 and 4. 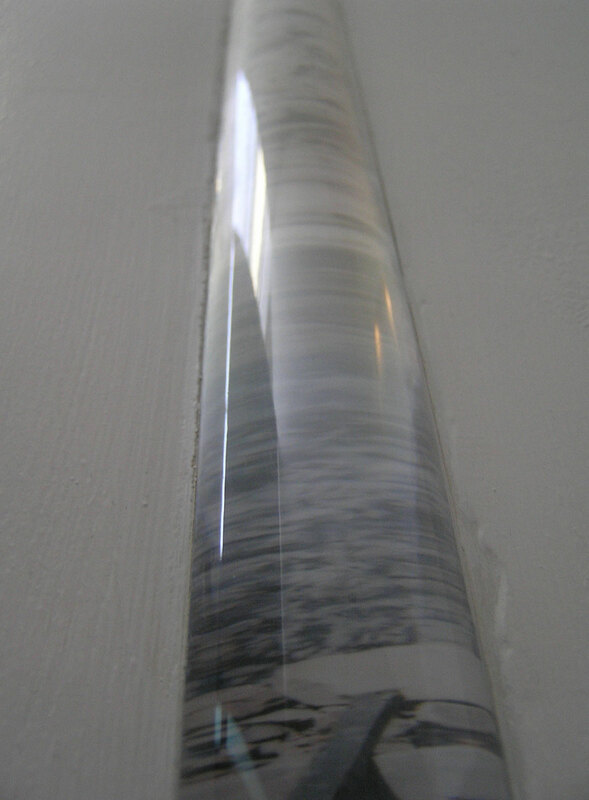 Running floor to ceiling, this 5 metre acrylic rod is set half into the wall and appears to come from the very depths of the building. As the viewer mounts the stair, the rod reveals distorted images - photographs taken during the excavations of the site. Reminiscent of geological strata, they expose the texture and history of the building. The work responds to changes in the lighting conditions - at times disappearing back into the wall. Positioned high up on the old Flodden Wall overlooking Dance Base. It introduces a simple image which suggests, in distilled terms, the activities going on inside the building - cultivating the body as a means of expression. PACE is an Edinburgh based art consultancy: current and past projects include Pentland Moon, BT Scotland Headquarters, Edinburgh Dental Institute and Auchterarder Community School. For further details contact Juliet Dean, Director of PACE on 0131 620 044.